Aside from poor performance and high energy costs, many potential dangers can result from improper water heater installation. That's why choosing the right plumbing contractors can make all the difference. If your water heater is broken or in need of maintenance, our licensed expert technicians can often schedule an appointment and have the problem fixed the very same day. Our plumbers know all about conventional gas and electric water heaters, as well as newer tankless water heaters. Don't stress over water heater repairs, either. We will take plumbing problems off your back. You may purchase a water heater through us or pick up one from the supplier of your choice and hire us to install it. 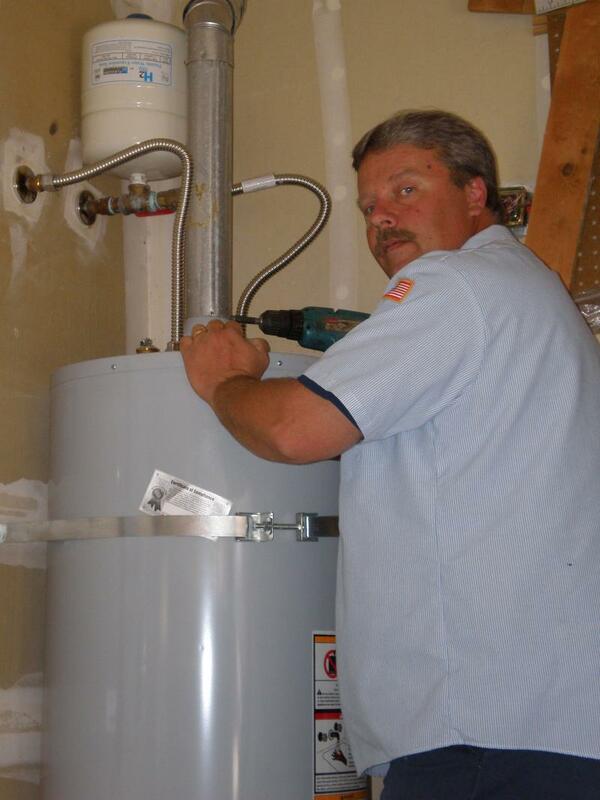 Is it Time to Replace Your Dayton Water Heater? It�s important to note that even the best made units have an average life span of 10-15 years. So if yours is �getting up there� in age, you may want to think about replacing it now in your choice of gas or electric, storage tank, or tank-less water heater model. Is Tank-less the Right Solution for You? Why tank-less? These are also wall-mounted units, but contain no storage tank for water. Rather, internal coils heat the water as it passes through. That means your family can take shower after shower, and always have enough hot water to meet the demand. Watch the video to the right to see exactly how a tank-less water can help make your hot water supply more abundant�and your life more comfortable.